If you, a family member or friend were injured by a dangerous or defective product, you need a products liability lawyer who understands the law, will fight aggressively for you, will keep you informed, and will make sure you get the largest award you deserve. That lawyer is Attorney Thomas More Holland. 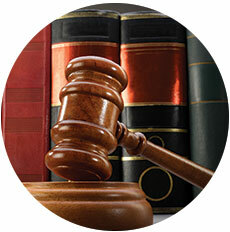 We understand how to deal with these cases, and will guide you through the process. At the Law Offices of Thomas More Holland, we make sure victims of defective products receive all of compensation they deserve. Yes. Product liability cases are complicated, and require prompt investigation. You need an attorney who has handled these cases, understands the law, and will find qualified experts who can explain why the product malfunctioned or was defectively designed. Attorney Thomas More Holland has represented persons injured by defective and dangerous products for more than 20 years, and the attorneys and staff of the Law Offices of Thomas More Holland have the knowledge to handle your case. Attorney Thomas More Holland and his staff give every client personal attention, investigate and analyze the facts of every case, and provide zealous legal representation. If you, a loved one or a friend has been injured, contact the Law Offices of Thomas More Holland by filling out a simple form, by sending an email or by calling (215) 592-8080.